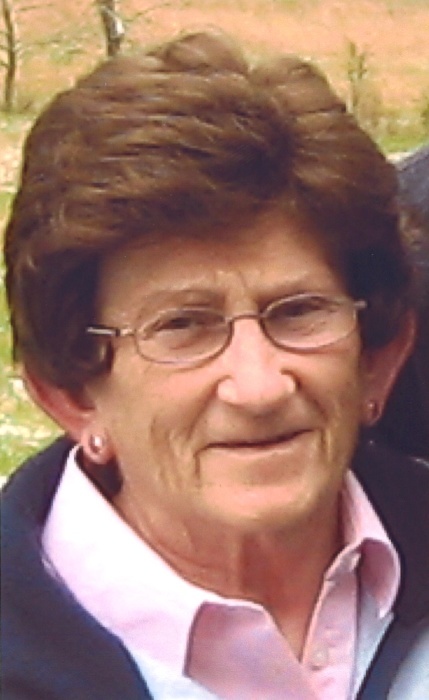 Nancy L. Wiese, age 75, of Moville, passed away on Friday, July 6, 2018 at Mercy Medical Center of Sioux City. A funeral service will be held on Saturday, July 21, 2018 at 11:00 AM at the Holly Springs Bible Fellowship of Hornick with Pastor Jim Thomas officiating. Burial will be at the Holstein Cemetery of Holstein. A visitation will be held on Saturday, July 21, 2018 from 9:30 AM to time of service at 11:00 AM. Nancy Lea Wiese was born on July 11, 1942 to George and Ruth (Sanford) Swanson in Greely, CO. She was raised the youngest of four children on the family farm in Briggsdale, CO. She attended school in Briggsdale until high school, then attended school in Fort Morgan, CO, graduating in 1960. Upon graduation she attended nursing school in Denver, earning her Registered Nursing degree on August 16, 1963. While working at a hospital in Denver, she met patient Sheldon Naab, and the two were married February 14, 1964. To this union two sons were born, Dwayne Michael on May 31, 1967 and Todd Douglas on March 20, 1971. She married the love of her life, LaDon “Don” Wiese on June 5, 1987 in Charter Oak, IA. She lived in the Schleswig area from 1987 until her move to Moville in 2004. Nancy was employed as an occupational health nurse at Farmland from January of 1984 until her retirement in August of 2004. After retirement, Nancy made quilting her full time job. She spent much of her free time preparing for an upcoming craft fair or special order t-shirt quilts. In addition to her love of quilting, Nancy enjoyed traveling and going out to eat with family and playing cards. She loved playing cards and always played to win no matter the age of player. She truly cherished time spent with her children, grandchildren and great-grandchildren. Nancy is survived by her husband, Don Wiese of Moville, IA; sons, Dwayne and wife Deb Naab and Todd and wife Linda Naab; step-son, Jeffrey and wife Lisa Wiese; nine grandchildren, Jenni, Michael, Marissa, Taylor, Danielle, Grace, Meredith, Kyle and Natalie; four great-grandchildren, Trey, Tate, Jett and Quinn; one sister, Dorothy Mattive; three sisters-in-law, Eleanor Swanson, Vicki Wiese and Joylyn Rippke; one brother-in-law, Neil Rippke; and a special family friend Mary Ellen Jahn. She is preceded in death by her parents; infant son, Korey Naab; step-son, Nathan Wiese; brothers, Wayne Swanson and Norman Swanson; brothers-in-law Wayne Mattive and Luane Wiese and sister-in-law, Dottie Swanson. If you plan to attend the service, please feel free to bring a quilt made by Nancy so that it may be displayed for others to see. In lieu of flowers, memorials can be made to the Holly Springs Bible Fellowship, 2699 280th St. Hornick ,IA 51026.